Ayn Rand, was a Russian-born American novelist and philosopher. 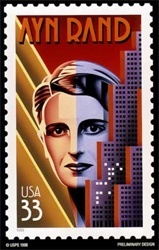 She is widely known for her best-selling novels The Fountainhead and Atlas Shrugged, and for developing a philosophical system she called Objectivism. She was an uncompromising advocate of rational individualism and laissez-faire capitalism, and vociferously opposed socialism, altruism, and other contemporary philosophical trends. She is generally either hated or loved. 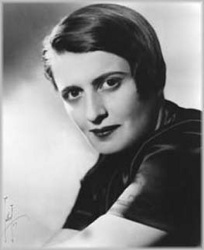 Her objectivist philosophy had a strong influence on the evolution of the Libertarian political philosophy movement (though she rejected the title). 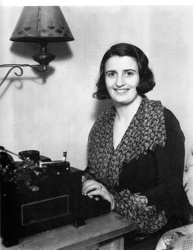 Here are 25 of her more profound quotes. 1. A government is the most dangerous threat to man’s rights: it holds a legal monopoly on the use of physical force against legally disarmed victims. 2. Ask yourself whether the dream of heaven and greatness should be waiting for us in our graves – or whether it should be ours here and now and on this earth. 3. Civilization is the progress toward a society of privacy. The savage’s whole existence is public, ruled by the laws of his tribe. Civilization is the process of setting man free from men. 4. Do not ever say that the desire to “do good” by force is a good motive. Neither power-lust nor stupidity are good motives. 5. From the smallest necessity to the highest religious abstraction, from the wheel to the skyscraper, everything we are and everything we have comes from one attribute of man – the function of his reasoning mind. 6. Government “help” to business is just as disastrous as government persecution… the only way a government can be of service to national prosperity is by keeping its hands off. 7. I swear, by my life and my love of it, that I will never live for the sake of another man, nor ask another man to live for mine. 8. 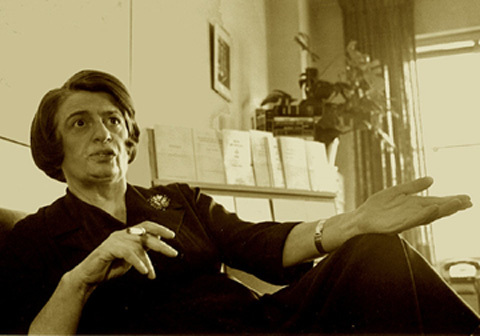 Individual rights are not subject to a public vote; a majority has no right to vote away the rights of a minority; the political function of rights is precisely to protect minorities from oppression by majorities (and the smallest minority on earth is the individual). 9. It only stands to reason that where there’s sacrifice, there’s someone collecting the sacrificial offerings. Where there’s service, there is someone being served. The man who speaks to you of sacrifice is speaking of slaves and masters, and intends to be the master. 10. Man’s unique reward, however, is that while animals survive by adjusting themselves to their background, man survives by adjusting his background to himself. 11. Money is the barometer of a society’s virtue. 12. Only the man who does not need it, is fit to inherit wealth, the man who would make his fortune no matter where he started. 13. People create their own questions because they are afraid to look straight. All you have to do is look straight and see the road, and when you see it, don’t sit looking at it – walk. 14. Reason is not automatic. Those who deny it cannot be conquered by it. Do not count on them. Leave them alone. 15. Run for your life from any man who tells you that money is evil. That sentence is the leper’s bell of an approaching looter. 16. The man who lets a leader prescribe his course is a wreck being towed to the scrap heap. 18. The purpose of morality is to teach you, not to suffer and die, but to enjoy yourself and live. 19. The question isn’t who is going to let me; it’s who is going to stop me. 20. There are two sides to every issue: one side is right and the other is wrong, but the middle is always evil. 21. 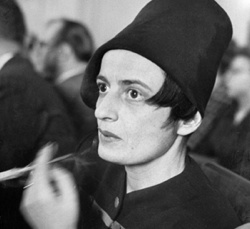 There is a level of cowardice lower than that of the conformist: the fashionable non-conformist. 22. We are fast approaching the stage of the ultimate inversion: the stage where the government is free to do anything it pleases, while the citizens may act only by permission; which is the stage of the darkest periods of human history, the stage of rule by brute force. 23. When I die, I hope to go to Heaven, whatever the Hell that is. 24. Wealth is the product of man’s capacity to think. 25. The most depraved type of human being is the man without a purpose.